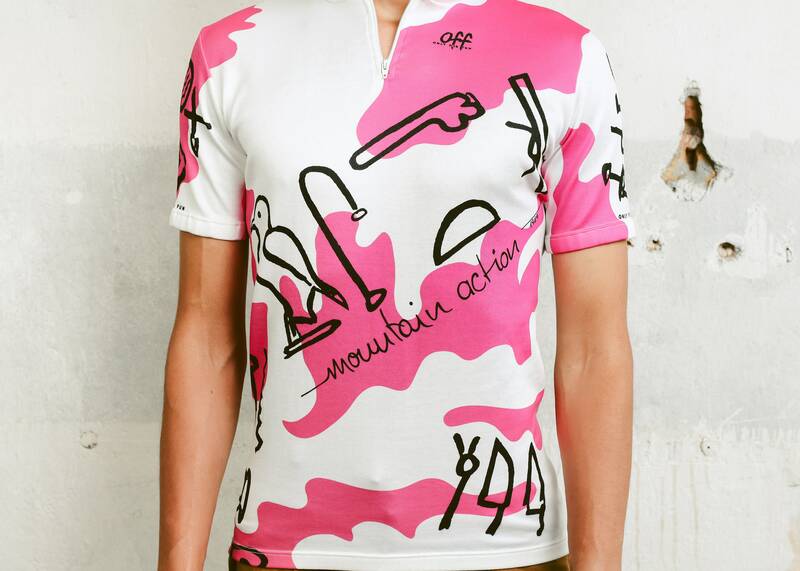 You are looking at amazing vintage 80s bold pink on white sports / cycling jersey made of stretch cotton fabric. 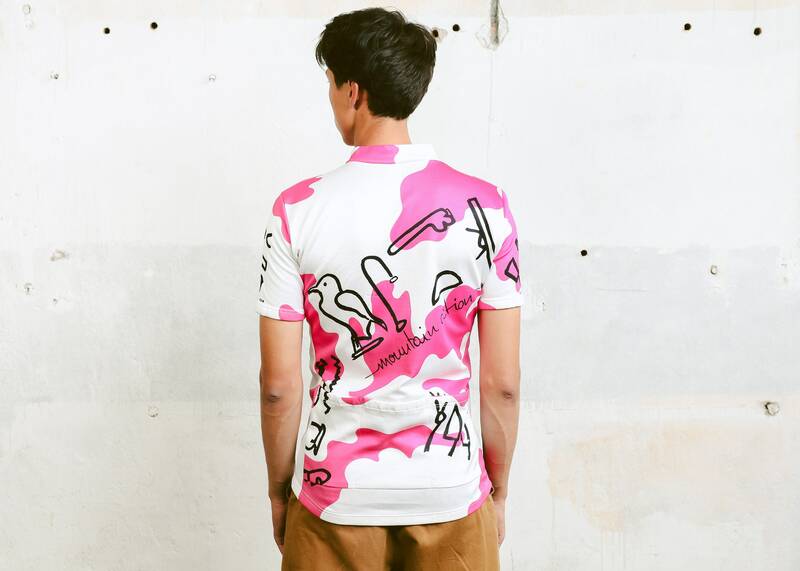 Wear it as it is or pair with blazer and trainers for that cool kid look. Model measurements: 6"1 ft (1.85 m), he wears size available. Marked size M. To be sure it would fit please follow measurements bellow.